The self-inking Printy 4923 creates a square impression size of 30 x 30 mm, which allows for maximum of 6 lines. To further extend the life of your stamp, order the suitable replacement ink pad 6/4923. Pads are available in black, blue, green, red and violet. Dry felt pads are suitable for special inks. 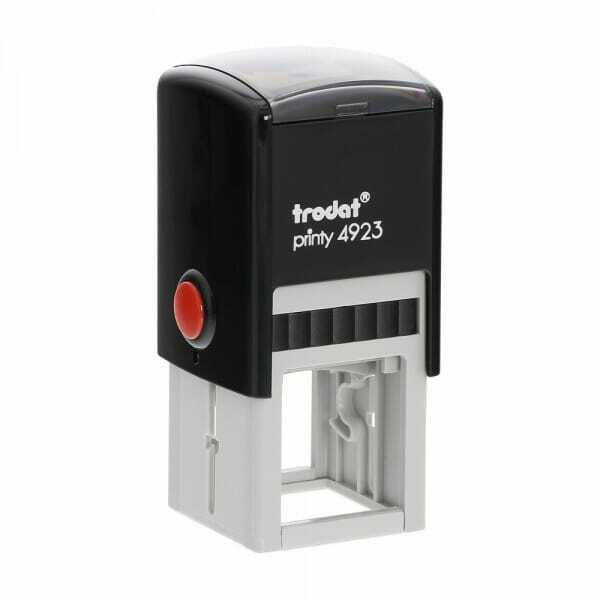 Customer evaluation for "Trodat Printy 4923 30 x 30 mm - 6 lines"